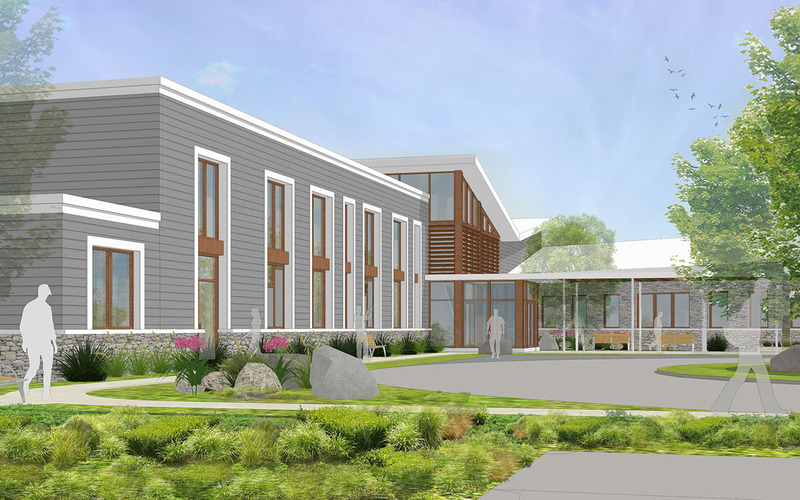 St. Joseph’s Villa had a vision for a new 10 bed hospice, tirelessly focused on how to sustain the highest quality of life for its residents, their families and those that support them. 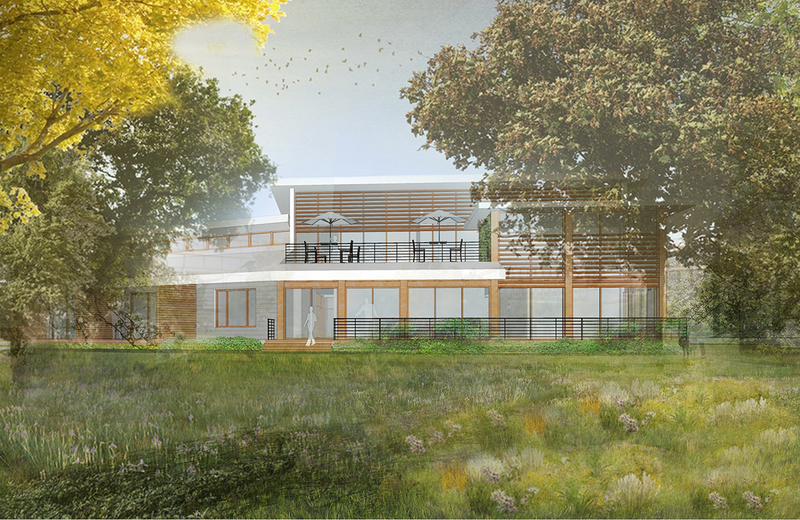 The result is Margaret’s Place Hospice, a new, specialized, 10-bed facility set within the Dundas Valley, whose design is an extension and reflection of the Villa’s approach. The 25,000 square foot facility is organized into two wings; one single-storey 6 bed wing, and a two-storey four bed wing. The building looks over Spring Creek and the woodlands that surround the centre, a setting filled with rich vegetation, wildlife and beautiful natural vistas. 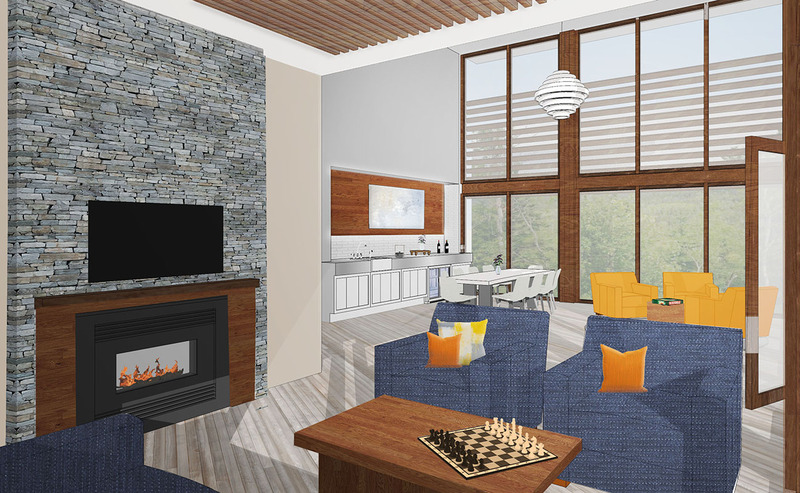 The natural materials, building scale and design all work together to create a homey feel, one reminiscent of a lodge or cottage, as opposed to an institution. 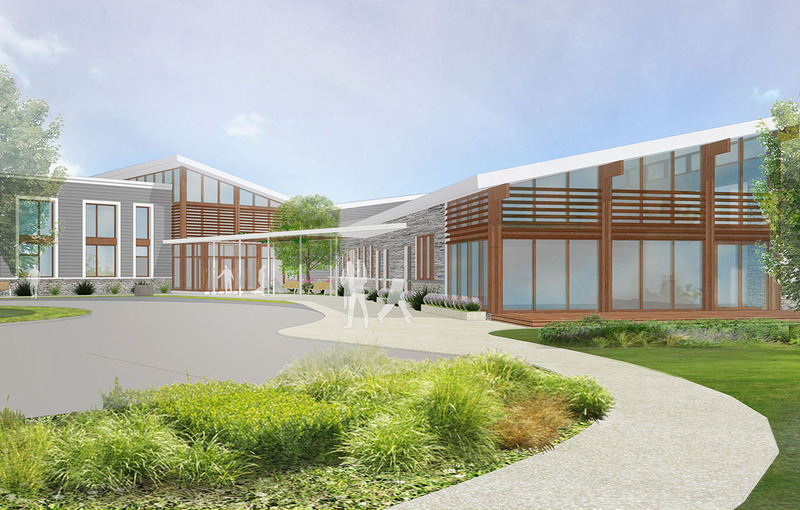 All of the patient rooms, the great room and the family spaces are arranged to maximize these views, with large windows that flood the facility with natural light. 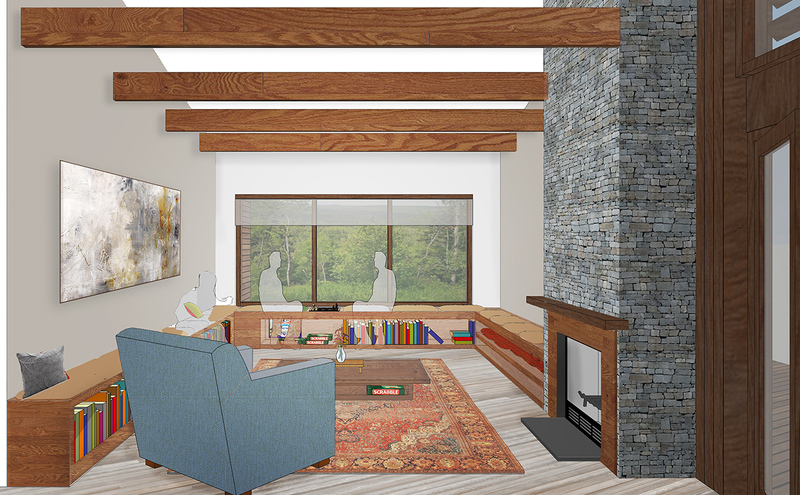 Beds may be moved to a covered outdoor deck, while inside there are natural gathering points surrounding a large fireplace. 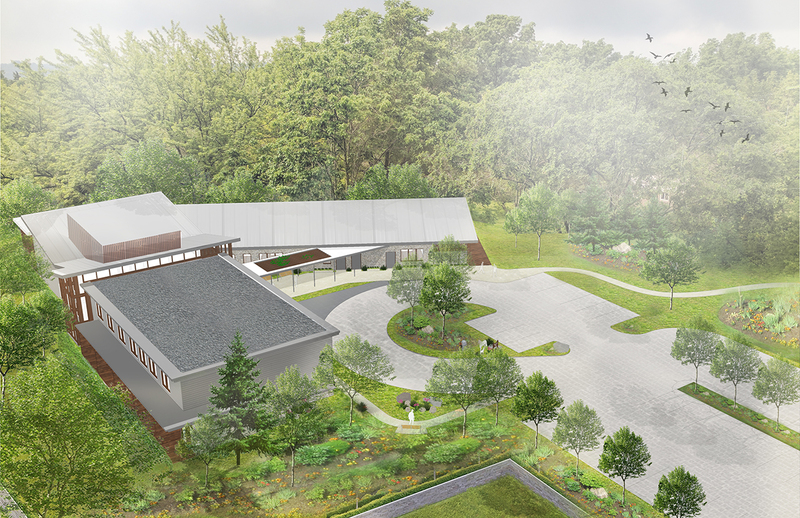 Each wing end supports family activity rooms, with a shared dining room, living room, and children’s area. 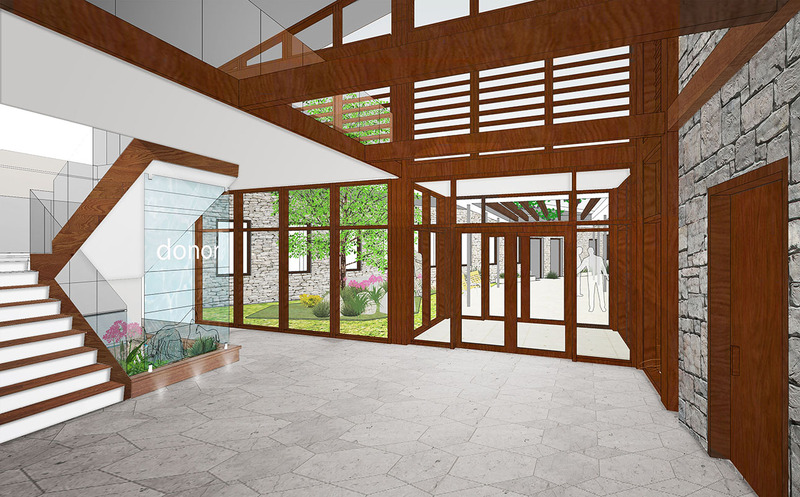 The library and quiet rooms are all designed with a warmth and comforting feel that carries throughout. Support services such as nursing stations, laundry areas, and administrative areas have been strategically placed at the front of the building, both to provide better care and best showcase the beautiful vista views for residents. 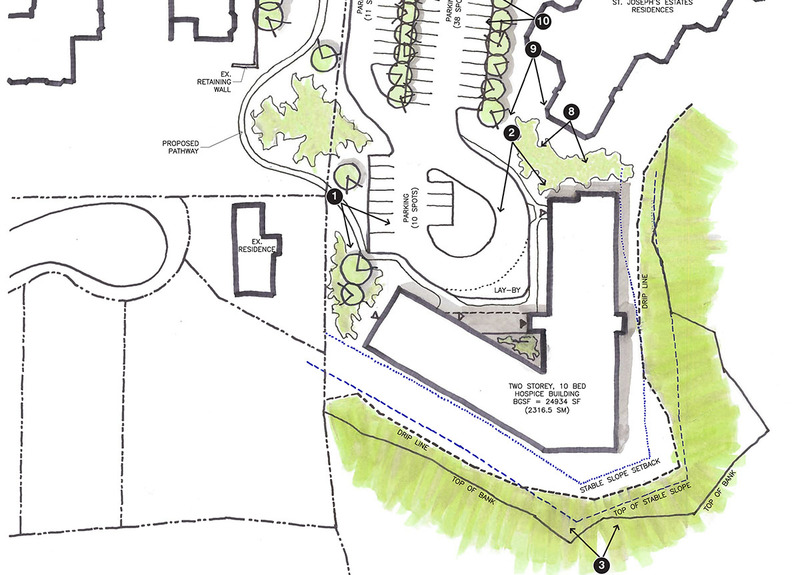 St. Joseph’s Villa unveiled the plans to the public on Sept. 19, 2017.